First leg of the trip is done and it’s off now to Paris via train. 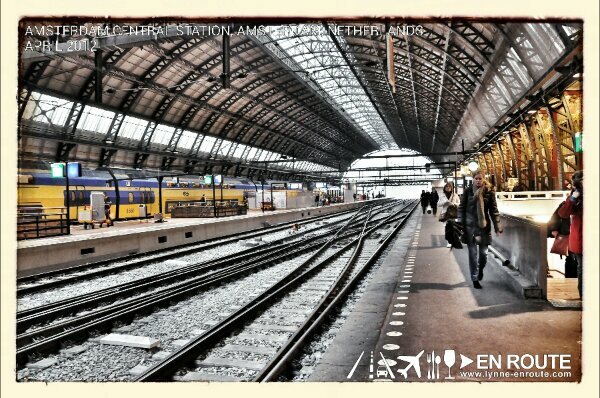 Train stations are really fascinating, and the ones in Europe are just spectacular. This one in Amsterdam Centraal ( yeah they spell it that way), still has the old architecture for its front, as you may probably have seen in the first Postcard from Amsterdam. While you don’t get the same speed as a plane, the check-in and checkout process is so fast that you can even just get to the station 5 minutes before the train arrives and still make it. They leave in about 20 minutes upon arrival, so you better get moving once those trains hit the platform. Since we got a reserved hi-speed train, it comes with a private lounge where you can wait while enjoying free refreshment sand high speed WiFi. Those are the words of Thalys, the Netherlands’ hi speed train operator, because we sure wish the WiFi speed was as fast as their trains. I gotta get as much booze as possible. That was a 139.00 Euro reservation! 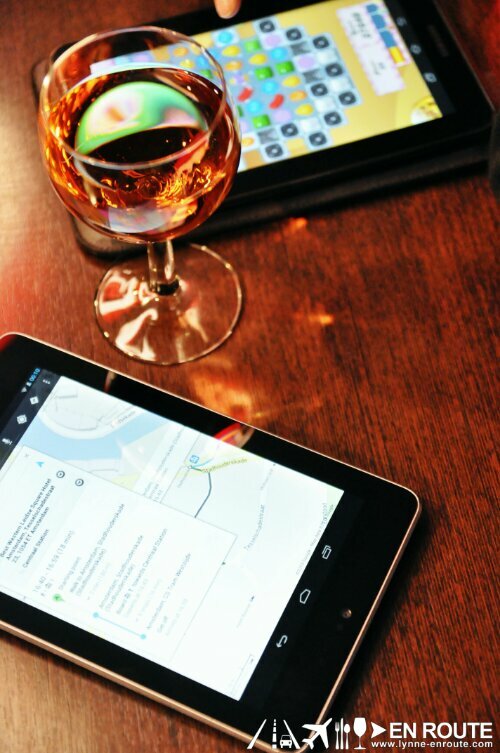 So it will be a glass of rose wine for me while I figure out how to get around Paris via Google maps while Lynne plays Candy Crush Saga. In spite of the hassle it brings to the game, she still doesn’t hate chocolate. I bet she eats even more of it while playing the game. In just close to four hours, it’s off to the City of Light! Lynne: We’re on our way to Paris! That’s honestly the main thought I have. I do wish we could stay longer in each place. 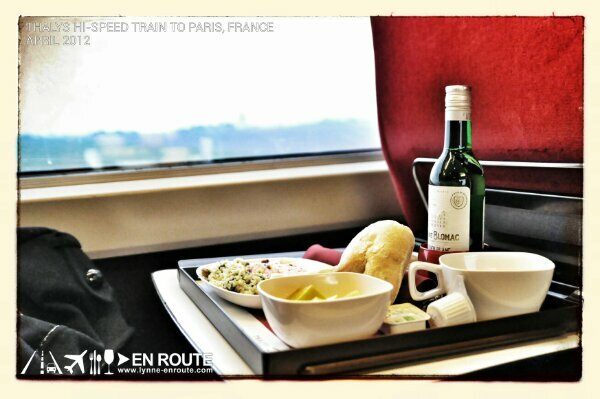 That, of course, comes at a price, much like the amount we paid for a reservation in the Thalys. This better be one hellnof a train ride. Free wi-fi, a comfy seat with more leg room and a bigger tray compared to that of a plane’s, cold but decent food with wine on board, taking it at night just forced me to doze off. And I didn’t wake up with a stiff neck. Being a hi-speed train, your ears pop evey so often. The Netherlands sped before my eyes. (We saw windmills!) Trains are just amazing. The whole trip has been amazing and I’m gearing up for what Paris holds. Let’s see, the Eiffel Tower, Champs-Elysees, food (food! ), and beautiful buildings. Yup, more amazing things await en route!